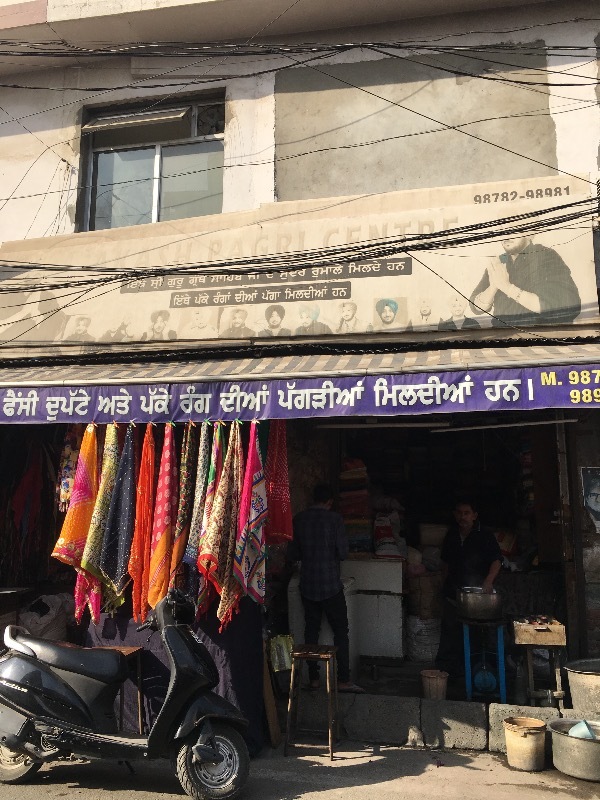 Ludhiana has this amazing ability to harbor treasures right in the middle of highly populated neighbourhoods! 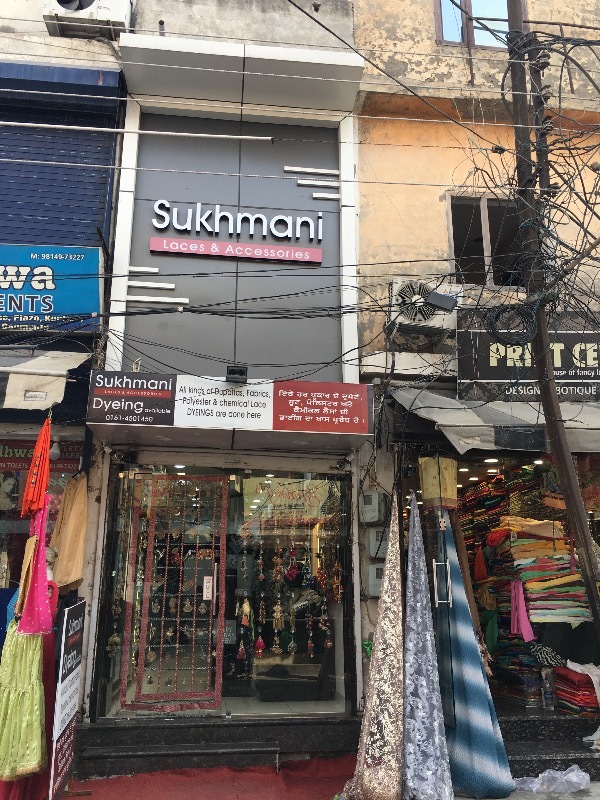 Enter the Shastri Nagar Market Ludhiana, sandwiched between Ludhiana’s Model Town, and B.C.M & G.T.B Hospital famed lane, there comes to life Ludhiana’s haven of traditional and non-traditional retail therapy. Let Gedhi Route take you through it! What is this place exactly ? 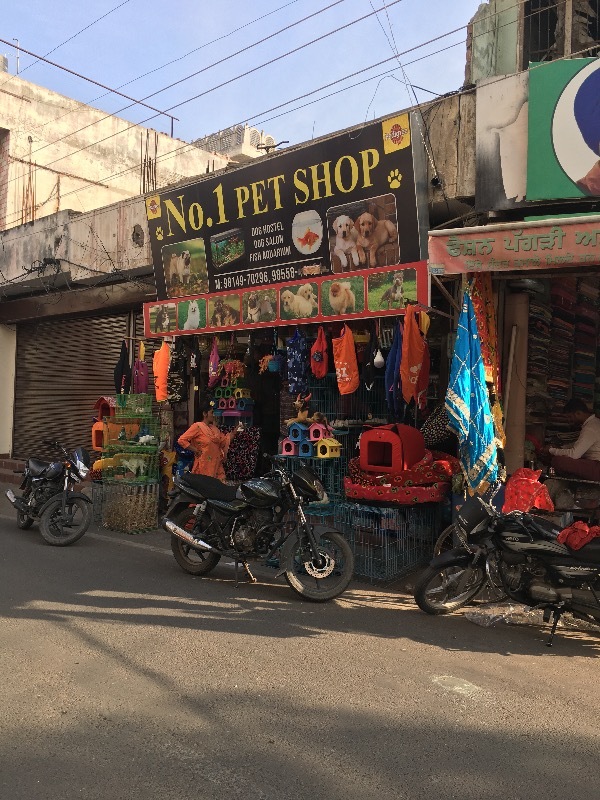 Shastri Nagar Market is an embodiment that flourishes as being the hub of boutique owners , accessory shops, per stores that facilitate the shopping for the culture at a price that one and all can afford. Nanra Trophy Shop because every victor must have something to show for his chronicles. 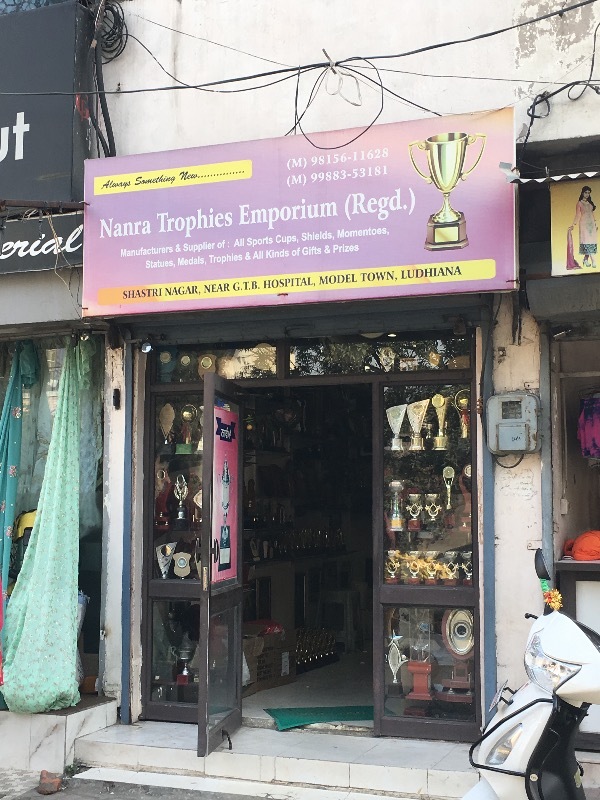 This shop has been around since forever and don’t be amazed when you look at your school trophies with Nanra’s name printed on it. 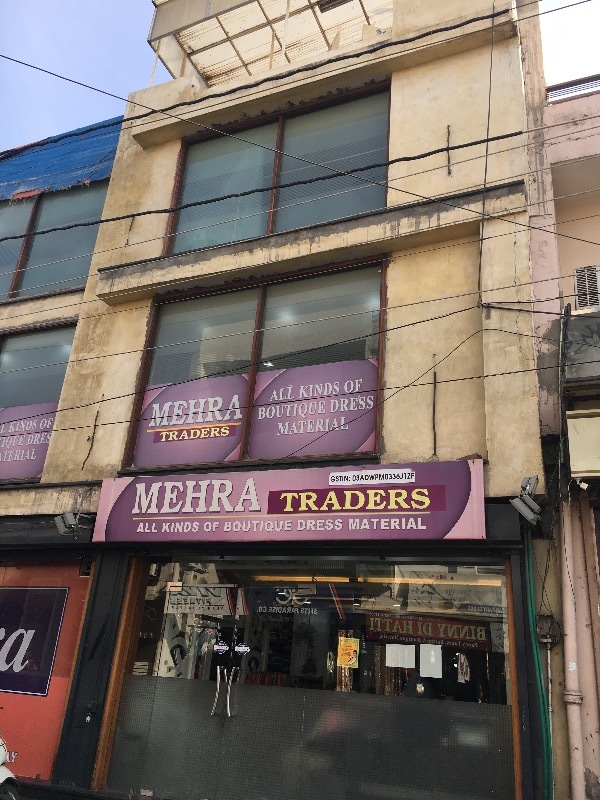 Mehra traders is famous for housing bedlam of fabrics and dupattas. Some may even call it the haven for boutique owners and fashionistas to feed the voracious appetites of their customers. 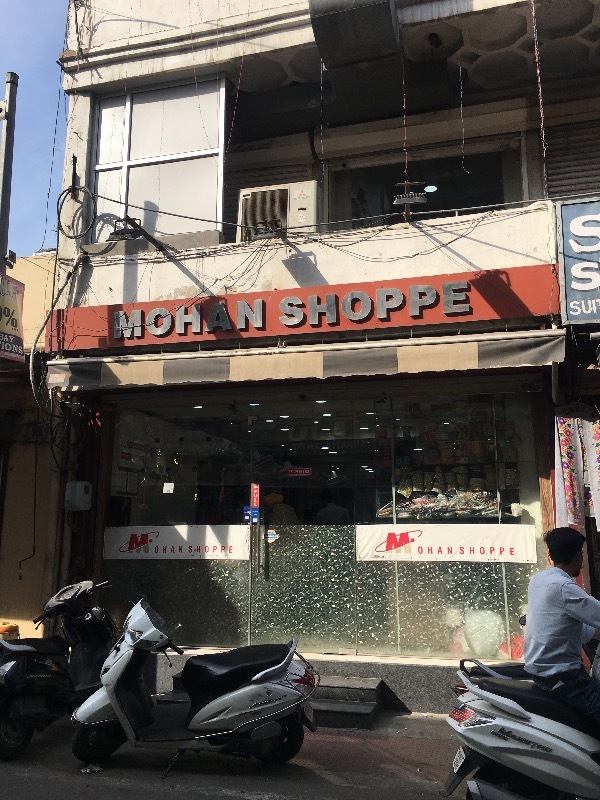 Mohan Shoppe is another legendary shop providing laces , hangings and clothing accessories. You can bet that your boutique designer is a frequent visitor because this the Mecca for the boutique owners. Well-known for trendy laces and accessories, you’ll find everything jazz-up and accessorize your chic new outfit at this store. In fact you can even choose from a whole range of dupattas from here and get them dyed to any color of your choice. Cutesy, trendy and purposeful – all in one! Located at the closest proximity to the GTB Hospital and at the very onset of the market is Akash Pagri centre. Get Turbans / Pagris , Dupattas and even Rumalas for Sri Guru Granth Sahib. This also happens to be one of the most frequented shops in the market. 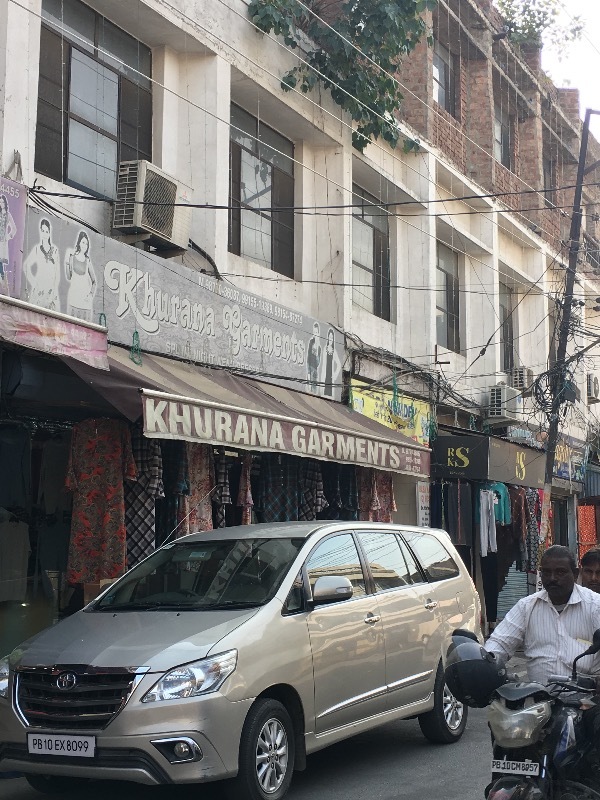 For the people in ready made clothing this market has Khurana garments. If you are looking for non retail branded fashionable clothes this is the place to check out, you just might find some nice pieces for yourself and your mom! What good threat doled out by a punjabi girl is complete without the menace of a good thwat of punjabi jutti on head. To complete the threat and your outfit Raju punjabi jutti is the shop . 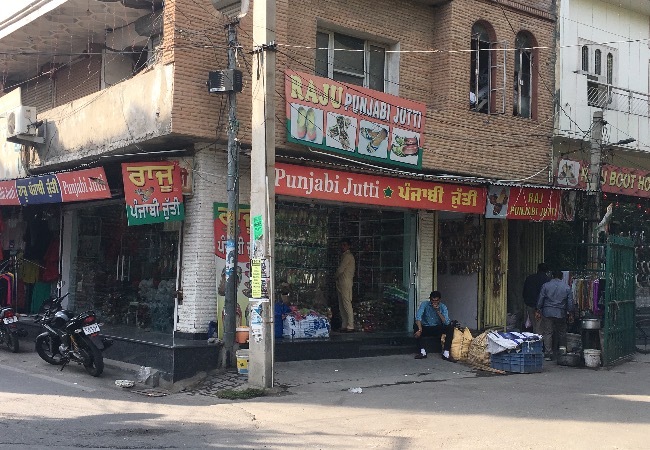 The oldest punjabi jutti store in all Ludhiana, the shop was the Salvatore Ferragamo of Punjabi Juttis. With the buff factor being the new ‘ in thing’ no market is complete without a sports store. 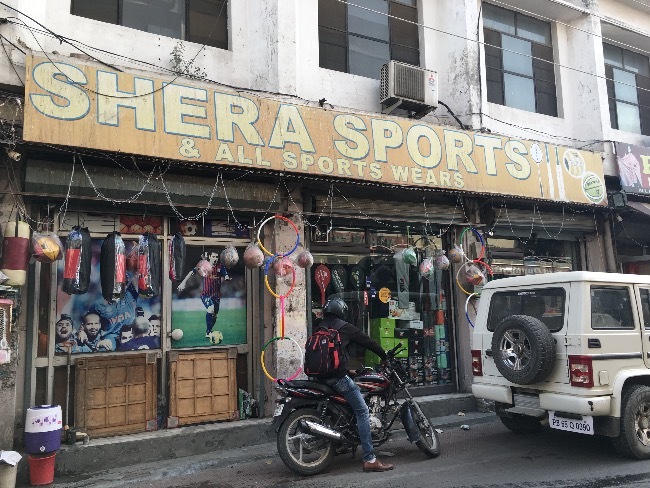 Shera sports is one stop shop where all sports equipment to attire is covered. You even get swimsuits for your cutie toddlers. 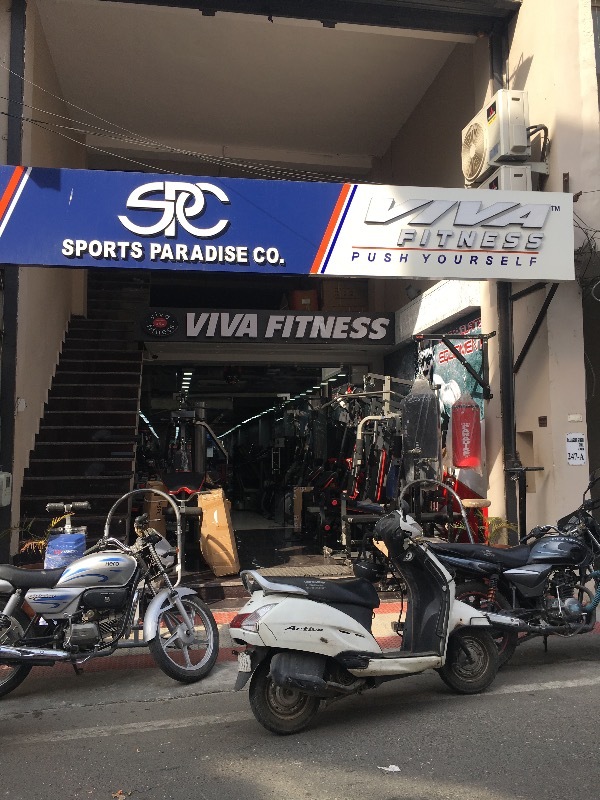 For the busy health conscious moms and the tad reluctant but tired of badgering dads Sports Paradise Co. is the place to be to buy equipment for your aerobic or gym class or even a home gym. After all the exercise, partying is a mist and dolling up in your sunday best an absolute necessity. 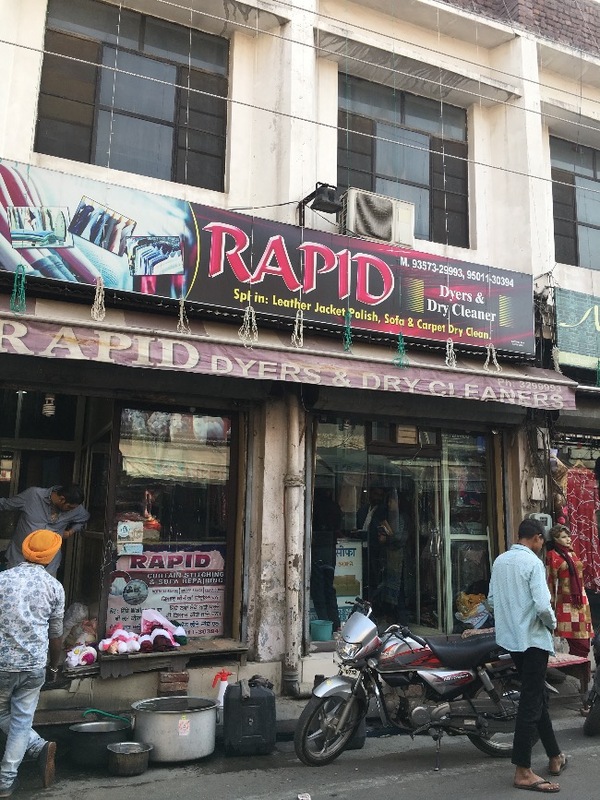 Rapid dry cleaners are not only going to get your clothes shiny but also provide the services of dying clothes, giving a special care to your leather jackets. They don’t even hesitate from the challenge of sofas and carpets. After everyone in the family is covered, one cannot forget about our best friends. No 1 pet store in the market provides beds , accessories, food , let’s just say everything to make your little guy at home.